Monday was National Peanut Butter and Jelly Day! I celebrate with my non-traditional take on a favorite combination. There’s never a bad time to have peanut butter and jelly… Am I right? And while there’s nothing easier than spreading our favorite legume paste and fruit gel onto a couple slices of bread and chowing down, every once in a while this humble yet reliable combination deserves a boost. I had the time and the spare ingredients to make up a peanut butter mousse. And I’ve been holding on to some black raspberry brandy jam from Panorama Farm Market for something like a national holiday. Peanut butter lends itself to a smooth culinary application like mousse. It’s not a real mousse, of course, but a few turns in the mixer and it is both rich and light. And no outrageous ingredients, unless you’re super adventurous. Put 1 cup of a smooth peanut butter in the mixer with the beater blade. I don’t like to use crunchy peanut butter for this because I feel the little bits of peanut undo the classic smoothness of the mousse. I used Kroger’s Simple Truth brand Creamy Peanut Butter. Add 8 oz of softened cream cheese, 1 cup of powdered sugar, and 1 teaspoon of vanilla extract. Fat free cream cheese is okay, since the peanut butter is loaded with fat. Mix on low speed so you don’t shower the kitchen in a fine layer of powdered sugar. Increase the speed until all the ingredients are well blended. Slowly add in 1 cup of heavy cream with the mixer on low until all the liquid is incorporated. Then increase the speed and blend until smooth. I had some whipped cream left over from another project, so I put the peanut mixture into a bowl and folded in about 2 cups of whipped cream until I had a very light, mousse-like, consistency. If you need to make your own whipped cream, whip 1 cup of heavy cream in the blender, along with 1 tsp of vanilla extract and 1/2 cup of powdered sugar. Once the mousse was finished I scooped it into a brandy sniffer and added layers of the black raspberry brandy jam. You can present your mousse in a pan with jam on top, or in a large trifle bowl. I sprinkled some Cascadian Farm Organic Peanut Butter Bliss on top to finish. Start to finish, this took me about 15 minutes to make. But I will take more time to savor and enjoy! 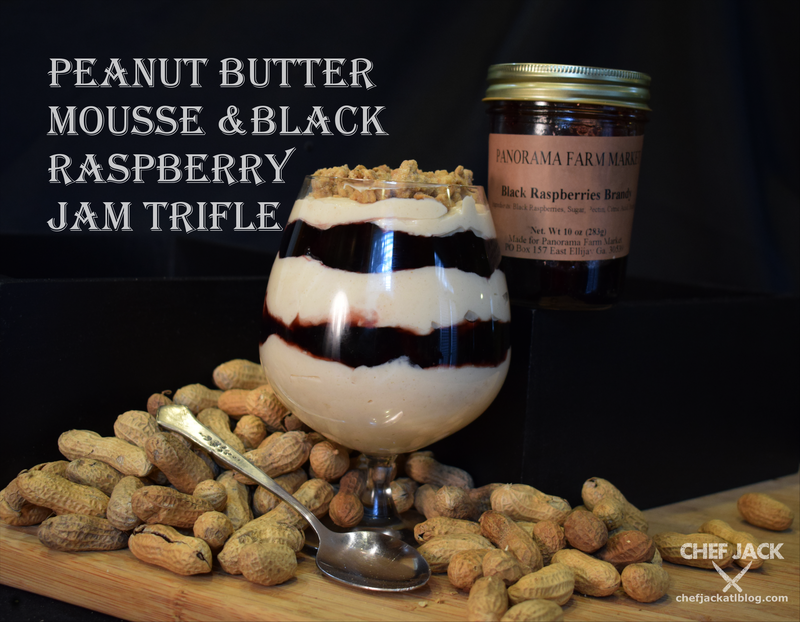 3 WAYS TO WHIP IT, WHIP IT REAL GOOD!